Notes: In 1986 PBA became a subsidiary of People Express which was then merged into Continental Airlines on February 1, 1987, the effective date of this timetable. 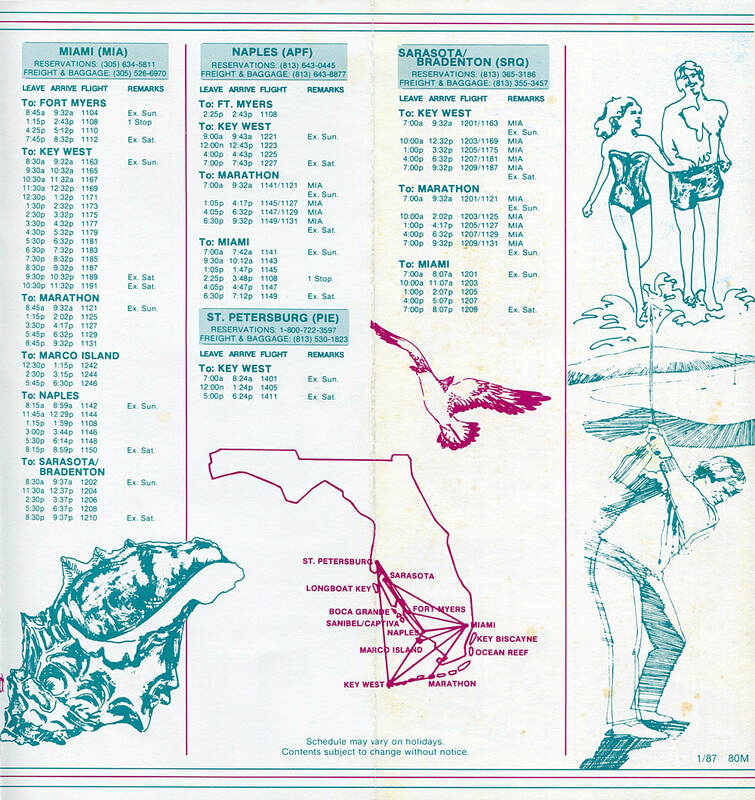 Continental shut down most of PBA's Florida routes in May 1987 although the DC-3s returned in the autumn wearing the colors of Eastern Express. To my knowledge, this is the final PBA timetable issue.